The limestone travertine mantel with over mantel comes with simple, yet striking designs and patterns that will add charm and warmth to your living room. It keeps your fireplace looking sleek and steady for decades. Every piece of this artwork is created from pure limestone, which is highly resistant to breaks, cracks and scratches. It does not crack easily even when exposed to excess heat. 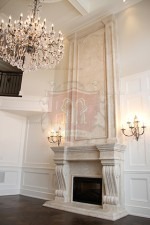 Therefore, you are assured of having the fireplace mantel intact and functional for many years into the future. The only maintenance you would be required to perform on this mantel is regular clean-up. It is quite a cost effective way to decorate your house. 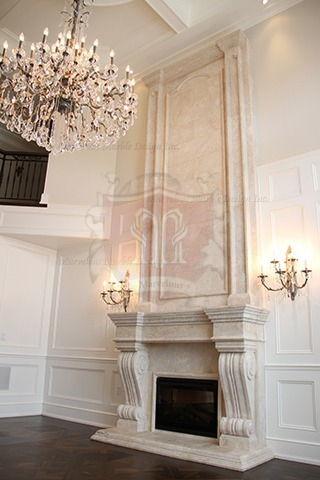 Other than enhancing your interior style this limestone travertine mantel with hover mantel is a perfect heat radiant meaning that it will keep your house warm hours after the fire burns out. 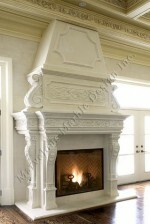 With this creation on your fireplace, you really do not require a costly electric heating system. It also comes with surprising lines that help to create a sense of intrigue and enthrallment in your house. Plus, the entire creation brings the same element of individuality and naturalness as the stone it was cut from. It is therefore a perfect way to keep your house looking natural, peaceful and artistic. When you are designing your interior it is important to create something unique that will serve as the focal point. 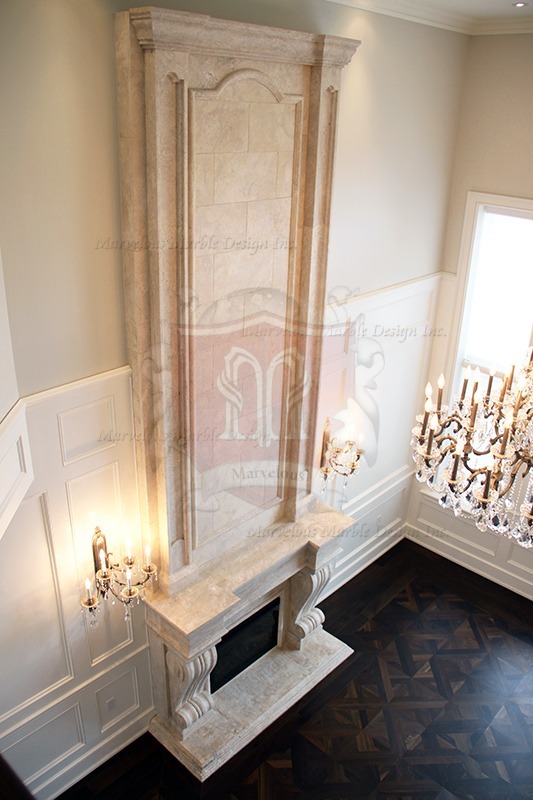 Fortunately, this limestone travertine mantel with over mantel comes with some fascinating creations that will have your guests’ eyes stuck to the masterpiece all the while. When other homeowners are spending humongous budgets on expensive decorations that will lose value a few months down the line, you should be the wise one by fitting your fireplace with a limestone travertine mantel that represents timeless beauty and longevity. It’s a beautiful piece of work that will help you make the right statement about your taste and style. 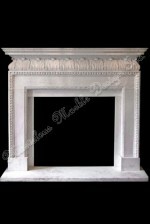 This type of fireplace mantel has been used in places of the high and mighty such as the popular manor houses in the ancient times. You can still create the same atmosphere as existed in the early times by fitting your fireplace with this masterpiece. Visitors will definitely be envious of your limestone travertine fireplace. The natural texture and tones of this mantel will enhance the overall appearance of your living room or any other space you wish to uplift. It turns a plain wall into an expensive space that everyone will admire.